I remember when I was a child growing up in Bogotá, the capital and largest city of Colombia, located in the cool, high-altitude environment of the Andean mountain range. Street and park trees were almost all of a few widely planted species: eucalypts, pines, cypress, acacias and ash. In a city that, at that time, had more than 4 million inhabitants, these trees were an essential connection for me with a natural world that grew like a scattered oasis in the middle of a concrete, brick and asphalt desert. It was in the eucalyptus groves that I admired the hummingbirds singing and drinking nectar from the trees´ flowers; on cypress, I saw migratory black-and-white warblers seeking insects while clinging to the bark like miniature woodpeckers; big ash trees were a place to find many other birds, especially migratory wood-pewees, tanagers and warblers. With few exceptions, native species were not taken into consideration for planting in Bogotá—until now. 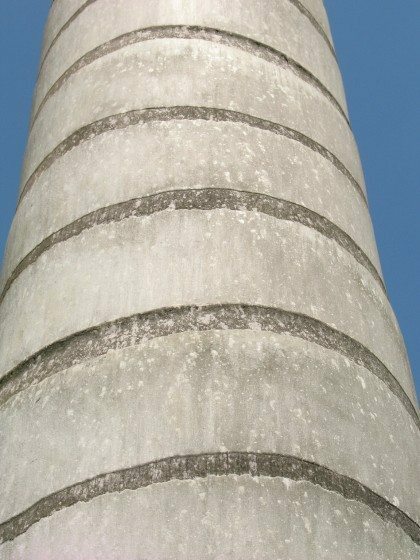 When I was 10 years old, I gradually started to notice other trees growing in the city, trees which, compared to the previous ones, were smaller and fewer in number, but appeared to represent a greater diversity. These were species such as the Andean alder, with its sparse and dull foliage; the Colombian oak, with characteristic wavy-edged leaves; the Andean wax myrtle, easily identified by its yellowish-olive foliage and aromatic leaves; the myrcianthes myrtle, whose orange fruits were edible; the vallea tree, with small heart-shaped leaves and beautiful pink flowers; the “corono,” or brush holly, whose branched thorns reminded me of a stag´s antlers. Field guides for identifying all these species were rare and difficult to obtain. Fortunately, at that time, a small pocket-sized book appeared which boosted my knowledge of the plants´ names and natural histories. The book´s title was El Manto de la Tierra (Earth´s Mantle), by Agnes Bartholomäus and others. It provided photos and easy-to-read descriptions on 150 plant species, both native and exotic, which are common in Bogotá´s environs. It was with this book that I started to realize that plants have different origins—that some, the so-called “native” plants, have been growing in a particular place for thousands of years, while others, the “exotics,” were brought from other countries and continents by humans, in most cases after the European conquest of the New World. With this book and others that followed, I learned that the acacias and eucalypts that grow in Bogotá come from Australia and Tasmania, that our cypress and pines are actually natives to Mexico and Central America. In fact, most of the trees, shrubs, vines and garden flowers that I knew in the city were not native to this area. When I realized this, a question started to whirl around my mind: which were the plants that formed the old Andean forests before the city of Bogotá existed? Walking the area over many years, visiting remnants of natural habitats and reading books and papers on the area´s ecosystems and vegetation, have helped to recreate the ancient ecosystems in my mind. It is well documented that most of the Bogotá plateau, formerly a lake, was covered after the last ice age with reed and cattail marshes and alder-dominated swamps. Some lower-altitude slopes were covered with dry Andean forests dominated by brush holly, duranta, hesperomeles, prickly pear, hopbush and baccharis. 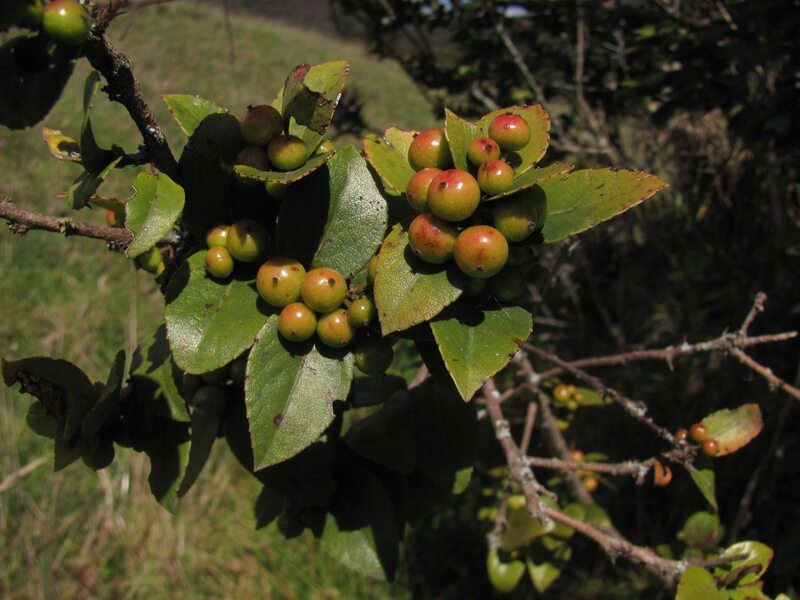 Other slopes supported more humid Andean forests with mountain Spanish-cedar, myrcianthes myrtle, brush holly, persea, oreopanax, and “uche” (an endemic species, related to plums and cherries). The trees´ trunks and branches hosted a great variety of epiphytic orchids and bromeliads. With the arrival of humans, these ecosystems were gradually replaced by indigenous crops, then by cattle pastures and monocultures, and then by the city itself. The necessity arose for planting urban trees, which, for the first four and a half centuries of the city´s history, were mostly exotic. With few exceptions, native species were not taken into consideration for planting in the city; for some plants, this may have been because they were still common as wild species. Many were not valued because they were considered “ordinary,” in contrast with the “classy” and expensive exotics. Reforestation, strongly influenced by commercial plantations and foreign influence, employed only big, exotic trees such as eucalypts and pines as the trees of choice for restoring the plant cover on eroded hillsides. The result of all of this was the Bogotá in which I grew up, full of big Australian eucalyptus, Mexican ash, European black poplar and American southern magnolia, to name but a few. The situation of native plants in the city is gradually changing. A growing environmental conscience, fueled by the realization that we are losing our last wild areas, native forests and wetlands, and, together with them, the animals and plants that depend on such environments and that often live nowhere else in the world, has lent more and more importance to the restoration of natural ecosystems and the protection of species that have become rare. 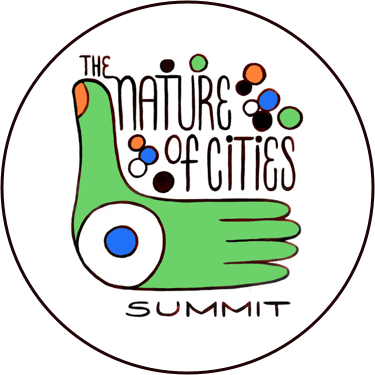 Cities are starting to be recognized as emergent ecosystems, which, if well managed, can harbor a large variety of plants and animals, including key groups such as migratory, endemic and threatened species. Around the year 2000, during Enrique Peñalosa´s first term as the city mayor, the Bogotá Botanical Garden started a massive tree replacement in the city, in which thousands of native trees were planted. Species that were previously scarce in the city, such as the Andean Fig, Andean Walnut, Colombian Oak, Wax Palm and the Croton tree, became a common sight in parks and avenues after this program. 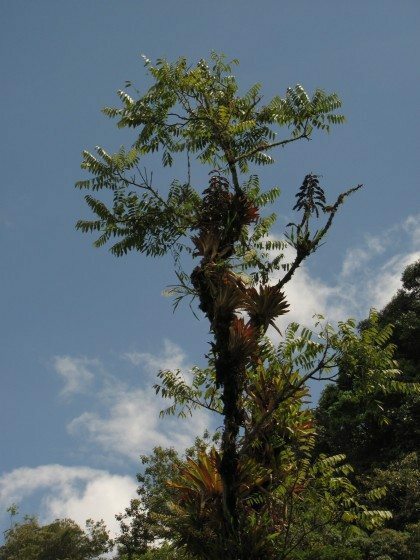 Other Colombian cities, notably Medellín, also started their own tree planting programs, with emphasis on native species. Now, Medellín is planting more than 200 tree species, and the total number of tree and shrub species reported for the city amounts to 500, perhaps the largest diversity of any Colombian city and one of the largest in the world. Still, there is much more to do before cities such as Bogotá, Medellín or Cali can truly attain the status of green cities. In terms of biodiversity and native species, it is evident that most of the smaller plants, such as vines and ornamental flowers, are overwhelmingly exotic. If we want to recreate more complex natural systems, we will certainly have to include the pieces that are still missing. Examples of elements that can be implemented include the recognition of unkempt areas of tall grass, shrubs and vines as key habitats that should be valued, protected and promoted in some areas, especially in natural reserves such as green corridors along watercourses and wetlands. The widespread use in gardens of plants which are key food sources for butterflies and their caterpillars. The implementation of low-cost, low-maintenance green roofs which recreate grassland and wildflower communities, as opposed to the expensive, nursery-plant-dominated green roofs which are being used today. And the use of green walls full of epiphytic plants, such as orchids, ferns and bromeliads. All these elements together would bring back a wealth of biodiversity and ecological interactions into the city. It is important to point out that not all plants have to be native—exotic ones also have an important role in maintaining a city´s biodiversity. Priority should be given to native ones, if only for two reasons: 1) to regain a balance, because for centuries native species have been neglected and, as a consequence, the parks and gardens of our cities are now completely dominated by exotics, and 2) there are certain functions which only native species are known to accomplish; for example, the native chusquea bamboos are the only species known to be used as food plants by the caterpillars of tens of butterfly species that live around Bogotá. No other plant, native or exotic, has been found as a replacement for the function that the chusquea performs as a key species for the conservation of these butterflies. It will be a long way until we see all these ideas fully implemented. But, as we have seen above, there is reason for hope. Today, in many aspects, the city of Bogotá is a lot different from the one I knew in my childhood. It has grown enormously, doubling its size to more than 8 million inhabitants. This has brought more pressure to the land and natural resources, and represents big challenges for managing education, social integration, the economy, security, infrastructure and transport. In spite of all the difficulties, I think that, in some aspects, the city has improved. Street and park trees have really changed. Now we see more diversity. One can get to know many native species without going far from home. Threatened species, such as mountain Spanish-cedar, wax palm and Colombian oak, are now part of the city. Birds have a wider choice of fruits available to eat. Eucalypts, pines and acacias are not as ubiquitous as they used to be. If we continue this way, we will certainly advance to our goal of shaping a more sustainable and biodiverse city. 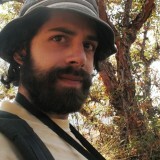 Mateo is a naturalist and environmental consultant based in Colombia. Camilo, es cierto, en Bogotá pueden estar las dos especies de urapanes. 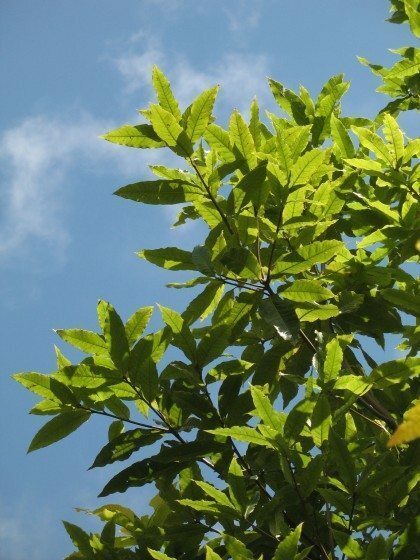 En todo caso, todos los que he podido observar en detalle y los ejemplares de herbario debidamente identificados por especialistas en el grupo de los fresnos, dan como resultado el mexicano Fraxinus uhdei. Fraxinus chinensis, si está, debe ser mucho menos frecuente. Muy chévere tu artículo Mateo, gracias. El tema nativo es importante. Basado en los estudios del arbolado urbano colombiano, como los de Corzo, Andrade, y obvio, el Jardín Botánico, es triste que más del 50% de los árboles de las ciudades colombianas sean exóticos. Yo creo que ha sido un legado de procesos de toma de decisiones complejos, que involucraron la opinión de muchos arquitectos del paisaje extranjeros, como los paisajistas japoneses que vinieron a Colombia en los 50 a sugerir temas de planeación urbana. Sin duda, los temas de la pobreza y la seguridad alimentaria han sido vital en esto, por eso vemos hoy en día muchas ciudades de la zona tórrida dominadas por los mangos. A eso se le añaden los ficus indios famosos, las palmas varias que están reemplazando los árboles en las plazas, y los famosos cascos de buey y demás. Aun así, se vez en cuando se ven los nativos. 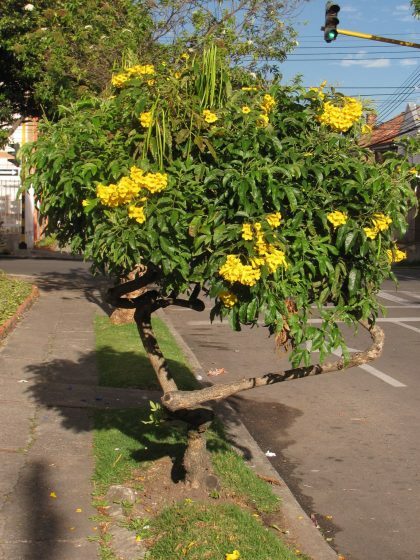 En Cali hubo un programa inmenso de plantar madroños, y sin duda, los samanes y las ceibas siempre han sido un símbolo de la ciudad. Una pregunta, vos que sabés tanto de plantas nativas: parece existir un debate sobre la especie de los famosos Urapanes bogotanos, algunos dicen que son fresnos chinos (Chinese ash), y otros fresnos mexicanos, como vos decís. 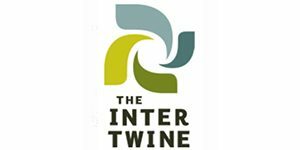 He hablado con varios ecólogos forestales en Colombia, y parece que los Urapanes bogotanos son una combinación de los dos. Me interesaría saber que pensás vos al respecto. Hola Mateo. Gracias por tu artículo. Me gusta mucho lo que propones de los retos que tiene Bogotá. Me emociona contarte que desde el Jardín Botánico estamos haciendo investigación en qué especies nativas son potenciales para jardines, ecoenvolventes y arborización. No obstante, no es tan fácil como parece puesto que las condiciones climáticas y de contaminación en Bogotá limitan el crecimiento o el desarrollo óptimo de las plantas…pero vamos en la lucha! Así mismo no contamos con material en vivero de plantas nativas para jardinería (o muy poco) y espero que en los próximos años desarrollemos investigación en los protocolos de propagación para así poder tener muchas plantas nativas disponibles! Chévere si algún día nos reunimos para hablar! Gracias Mateo por esta informacion. Disfrute mucho el articulo. 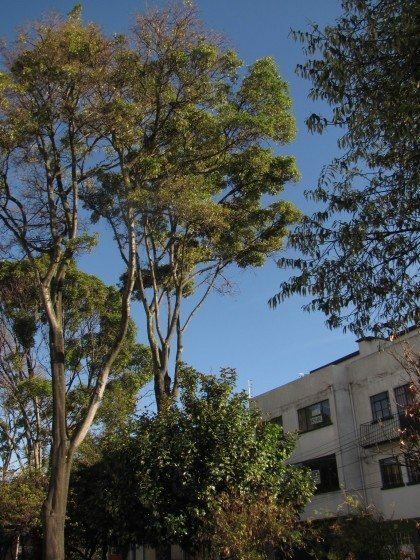 Bogota y todas las ciudades y pueblos de Colombia deberian considerar nuestros arboles nativos como su primera opcion de arborizacion. Yo sin embargo valoro tambien los no autoctonos que ya tenemos, que noblemente nos han acompanhado y se han convertido en parte de nuestra memoria historica. Mateo. Su artículo es alentador y nos infunde esperanza. Continuar con la motivación en el uso de las especies nativas ornamentales. Quisiera tener mayor conocimiento de estas. Mateo – enjoyed the article. In Medellin, was there a specific policy that encouraged the planting of native vegetation (I assume on public property)? Are individual developers using more of a native plant palette on private properties- and if so, why?